A work depicting the divisive former UKIP leader Nigel Farage failed to find a buyer at the Royal Academy’s celebrated Summer Exhibition this year. 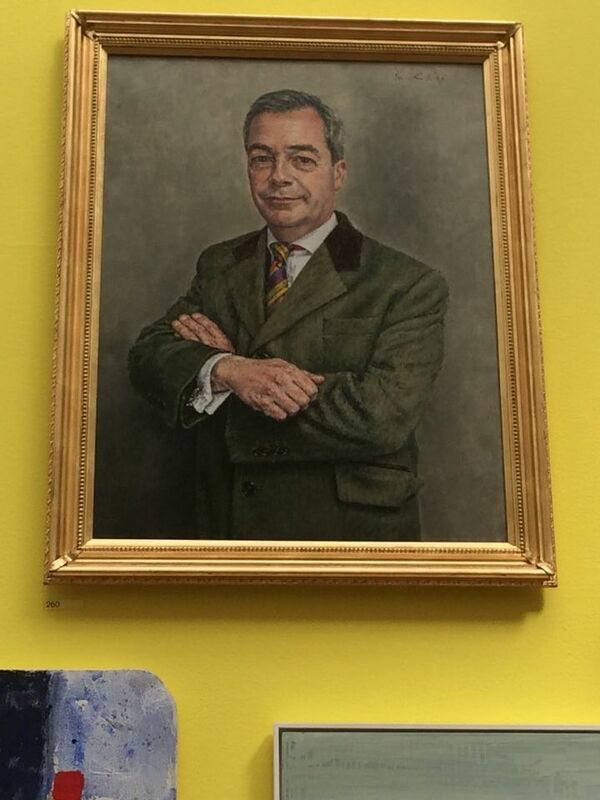 The painting of Farage by David Griffiths was priced at £25,000 (the MEP has threatened to return to frontline politics, joining a campaign to overthrow prime minister Theresa May’s Chequers blueprint for Brexit). But another image of a right-wing politician just as notorious as Farage did sell in the exhibition, organised by the artist Grayson Perry, which closed last weekend. Paul Selley’s painting of Jacob Rees-Mogg, the Tory MP determined to bring about a hard Brexit break from the European Union, found a home. The price for this politically charged painting? A snip at £450 (not euros).